#PudhinaThuvaiyal #MintChutney : #Pudhina leaves are used mainly for garnishing dishes and in the preparation of chutney. The nice aroma of the leaves is unique and adds a zing to the dish prepared with it. It is used in our dishes not only for its aroma but for its medicinal properties. The leaves are packed with antioxidants and phytonutrients which is good for health and helps in easy digestion. Pudhina is rich source of calcium, phosphorous, vitamin C, D, E and a small amount of vitamin B complex. So use plenty of these leaves in daily diet. Now lets see how to make a thuvaiyal ( chutney ) using pudhina. 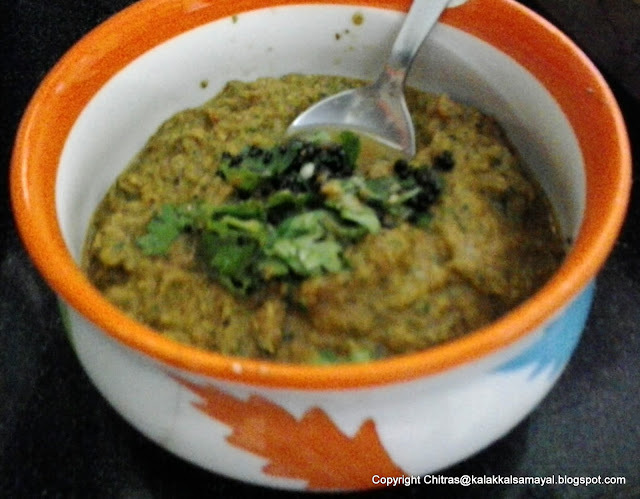 Roast red chilly and Urad dal [ black gram dal ]. Now saute ginger pieces for a minute and transfer into the jar. Now take all the other ingredients along with roasted and sauteed ingredients. Run the mixie without adding water. Then add little water and grind into a smooth paste. Temper mustard seeds and pour over chutney. This thuvaiyal is an excellent side dish for pongal, upma, idly and dosai. Take hot white rice in a plate. Add one or two tsp of thuvaiyal and a dash of gingelly oil. Mix well and enjoy with murungaikai sambar or vatha kuzhambu.